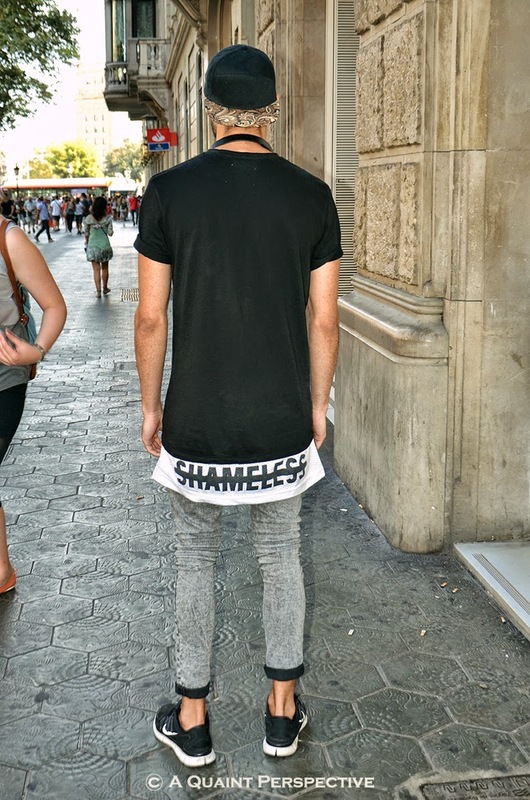 A little bit of Hip-hop, a little bit of swag and a little bit of Shamelessness in Eduard's street style makes it distinct. 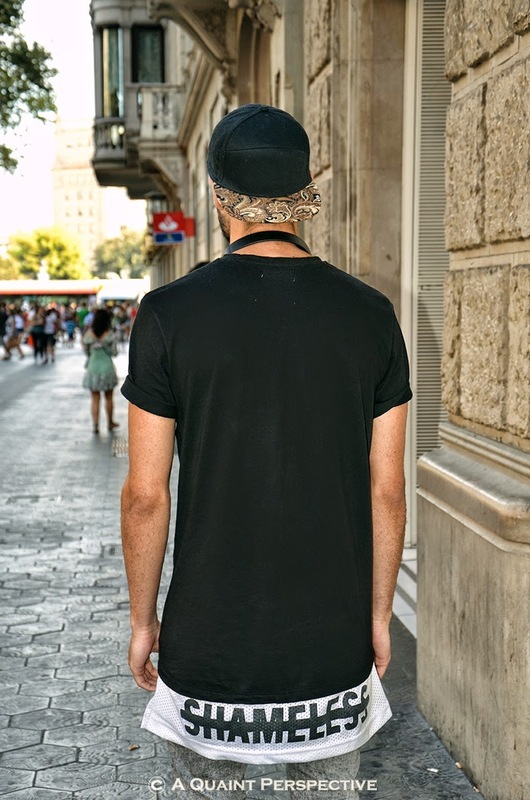 The longish T shirt or the Tall T as its becoming popular as is the latest must-have-piece, borrowed from the Hip-hop generation into the mainstream menswear. Made popular by artists like Kanye West and Chris Brown and done well over the seasons by labels like Acne and Ann Demeulemeester, its refreshing to see men experimenting with their silhouettes! Eduard wears a color blocked long T in black and white with short sleeved, rolled-up. A very interesting T from Bershka with the usage of the the perforated jersey, normally used in sportswear and a very interesting struck-off SHAMLESS print on the back. He pairs is with a pair of skinnies in acid washed black, rolled-up to the ankles and black-n-white Nike sneakers. His head-phones with his favorite music and his cool black and paisley printed baseball cap are the accessories that complete his Shameless look! Eduard Mamblona is a fashion consultant with Bershka in Barcelona and works at Passeig de Gracia.......what and office address! we are envious!